Recent announcements that gas prices are set to increase have caused consternation amongst consumers. The prospect of rising bills is one that few people will relish. But there is little reason why you should bear the full brunt of gas price rises. With a bit of forethought you can reduce the impact on your bank balance - and avoid future rises too. How can I minimise the cost? It is vital that you shop around for utility providers. You can make significant savings simply by switching suppliers – and yet the vast majority of customers do not bother to look around. The good news is that the internet has made it very easy to compare providers and find the cheapest deal. There is a range of price comparison websites available, all of which can help you find a gas company that might be able to save you money. Of course, the other alternative is simply to use less gas. 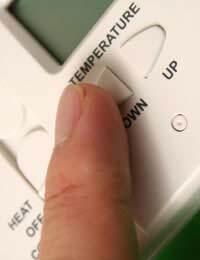 You can cut your bills significantly by, for example, turning your heating down by a couple of degrees during the winter. You might also consider investing in a ‘smart meter’, which will help you identify the ways in which you can use energy more effectively. It is hoped that smart meters will gradually be rolled out to all homes across the UK. You may have received a letter from your gas company offering to ‘fix’ your prices until a certain date some time in the future. This might seem like an attractive proposition, but you should think carefully before signing anything. First of all, remember that they are profit-making companies, and they are only offering you this deal because they think they want to hold onto your custom. If you sign a fixed deal you give up the option of shopping around for a better deal in the future. Similarly, if you are being offered a fix that is higher than your current prices, you should think carefully about whether you can get a better deal elsewhere. It seems inevitable that energy prices will continue to rise, particularly as fossil fuels become less readily available. As such, you should consider ways that you can cut your energy usage – rather than simply moving from company to company. Good insulation is one of the most effective ways of cutting your gas bill. By properly insulating your property you can reduce the amount of gas you use, and keep your house warmer. You might also wish to investigate newer technologies like solar panels or the smart meters we mentioned earlier. By swapping to new fuels, or being a bit smarter in your use of existing fuels, you can cut your outgoings not just in the short-term, but for good. Utility price rises are likely to become an increasingly regular occurrence in the coming years, despite consumer pressure. So, in order to mitigate the impact and keep your bills down, begin thinking now about ways to minimise the impact.